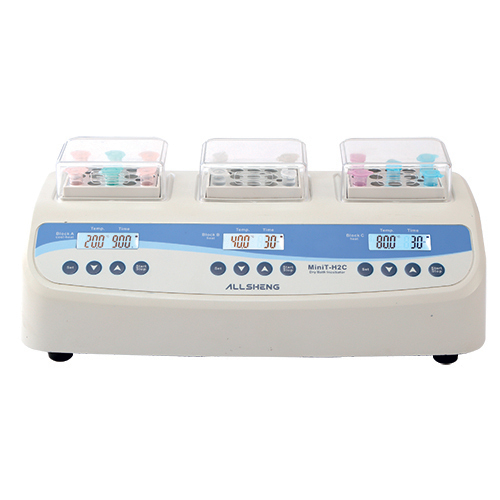 MiniT-H2C is 3-in-1 mini dry bath incubator. The MiniT-H2C is a heating and cooling incubator with 3 individually controlled mini dry bath. Many aluminum blocks are available covering a range of tube sizes from 0.2ml, 0.5ml, 1.5ml or 2.0ml tubes blocks.These are suitable for labs with heavy work load.